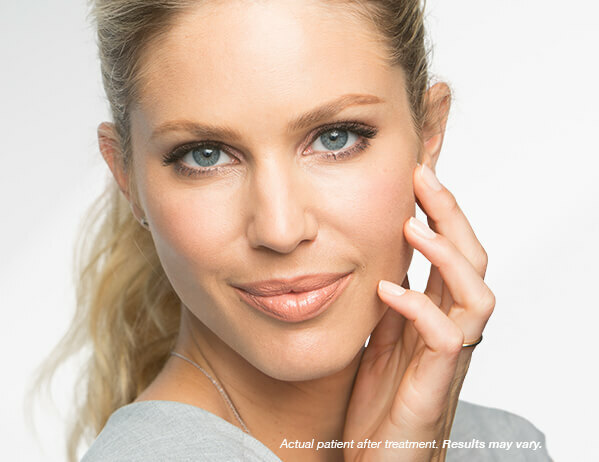 Just what is BOTOX® Cosmetic Exactly? BOTOX® Cosmetic is a purified protein. 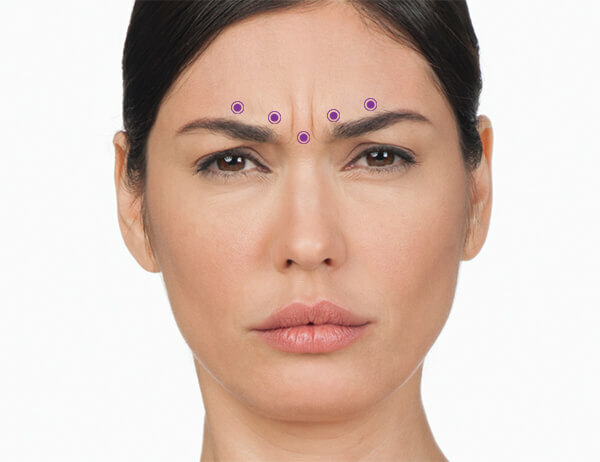 It is an FDA approved nonsurgical treatment that can temporarily reduce moderate to severe frown lines between the brows in patients 18 to 65 years of age. 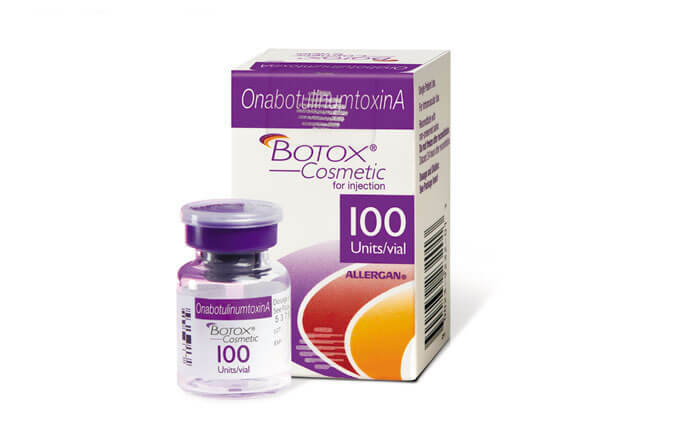 BOTOX® Cosmetics (botulinum toxin a or onabotulinumtoxina) is a botulinum toxin injection and a neuromuscular blocker proven effective in the treatment of wrinkles. Botulinum toxins (like BOTOX® Cosmetics, Xeomin and Dysport) are not actually wrinkle fillers like other cosmetic injections. Rather, botulinum toxin is injected into facial muscles to immobilize the underlying cause of lines and wrinkles. Within days there’s a noticeable improvement to your fine lines & wrinkles. You can treat areas such as eyebrow furrows, crow's feet, and forehead creases among others. There’s no recovery or downtime. You can even receive BOTOX® Cosmetic treatment on your lunch break, and results last up to four months. Individual results may vary. More than a million people have been treated with BOTOX® Cosmetics since FDA approval in 2002. But did you know that BOTOX® can also be used to effectively treat more than fine lines & wrinkles? Other conditions such as hyperhidrosis (excessive sweating and body odor), myofascial pain syndrome (a chronic condition that involves muscle pain), chronic migraines and other neurological conditions can also be treated with BOTOX®. 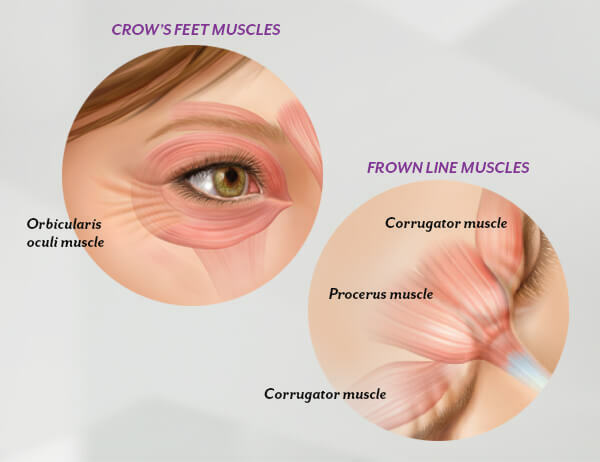 During treatment, very low doses of BOTOX® Cosmetic are administered via a few tiny injections directly into the muscles that cause those stubborn lines between the brows. The treatment is minimally invasive and nonsurgical. It requires no recovery time and causes little discomfort. 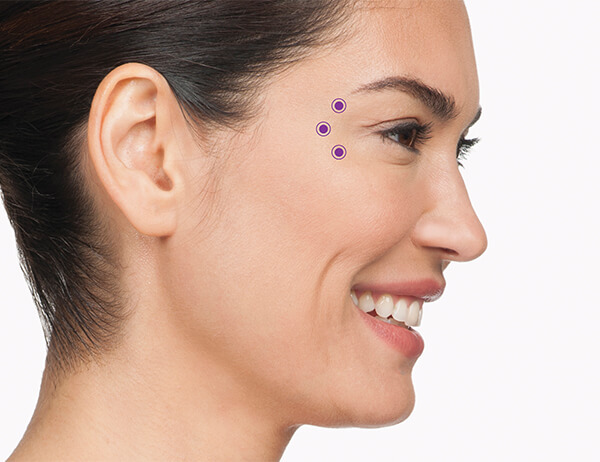 BOTOX® Cosmetic is a quick and minimally invasive treatment. Your practitioner makes a few tiny injections into the muscles that cause the moderate to severe frown lines between your brows improving the appearance of fine lines & wrinkles. Your practitioner will determine exactly where to administer the injections to achieve the best results. No anesthesia is required, although he or she may choose to numb the area with a cold pack or anesthetic cream prior to injecting. The entire procedure takes approximately ten minutes. Discomfort is minimal and brief – most patients compare the sensation to a bug bite. You may resume normal activity immediately. When you get your BOTOX® Cosmetic from Snooty Anti-Aging & Wellness, you can be certain it's the real thing. We are an approved and reputable provider who purchases BOTOX® Cosmetic directly from Allergan or a distributor authorized by Allergan. You can verify this by going to the BOTOX® Cosmetic website here and entering our zip code: 37934. Only physicians who purchase BOTOX® Cosmetic from Allergan are listed here. You can expect to see results within days after your treatment. Visible results can last up to four months. After that, you may be ready to return for a follow-up treatment. Results may vary from person to person. Typically results last up to four months and we recommend follow up treatments every four months to maintain results. I’m ready for BOTOX® Cosmetic, What Should I Do Next? 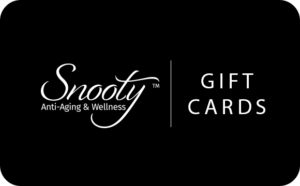 If you are interested in being treated with BOTOX® Cosmetic in the Knoxville TN area, you should contact Snooty Anti-Aging to request your private consultation right away. Your consultation will always be confidential and complimentary. During your consultation you will meet with one of our certified medical professionals to discuss your needs and concerns. We will also advise you and make recommendations on products and services based on your individual needs.